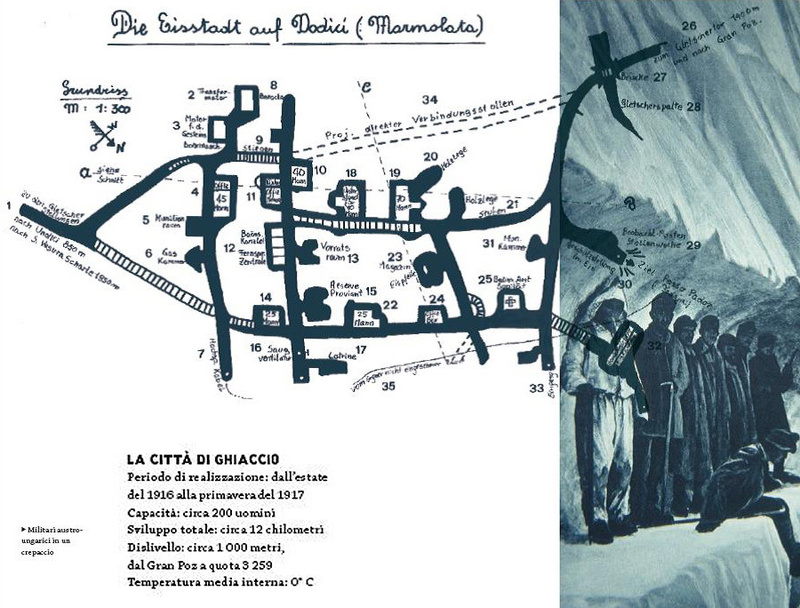 In the deepness of Marmolada’s glacier lay what is called the “Ice City”, a thick web of tunnels – overall 12 km, together with barracks, kitchens, chapels, sanatoriums, stores, dug by Austro Hungarian soldiers. 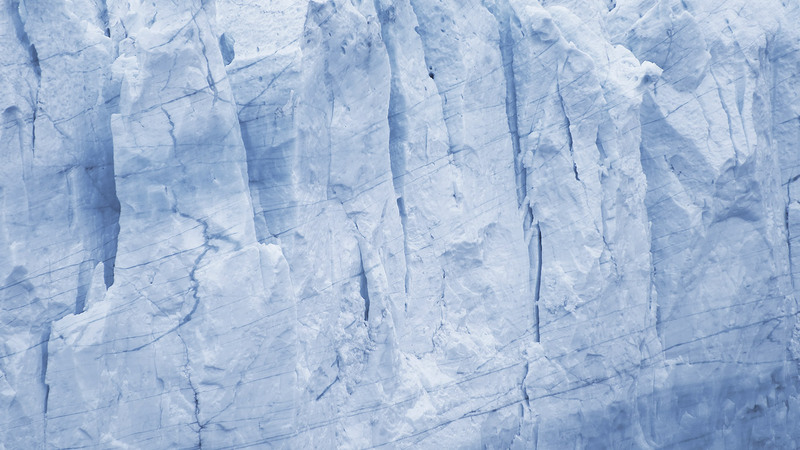 No one before had dug into a glacier and overall in such a difficult conditions: there was no scientific documentation about it. They had to test materials, explosives (the few that they owned) and tecnologies, to eventually build something unique in its kind. In 1916 the whole Marmolada had transmuted into a battlefiel of the Great War. The most strategic position was occupied by the Austrian troops and was called „Forcella Vu“ for ist shape. 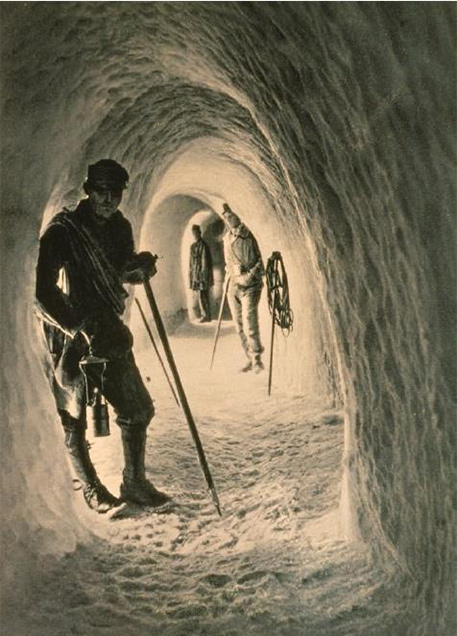 The position was right on the top of the glacier, connected with the near bastion on the „Quote 3153“. That position was really difficult to supply because of the Italian troops watching from their bastion of Serauta, too close: from there they could control the whole glacier day and night, in order to avoid any movement on it. 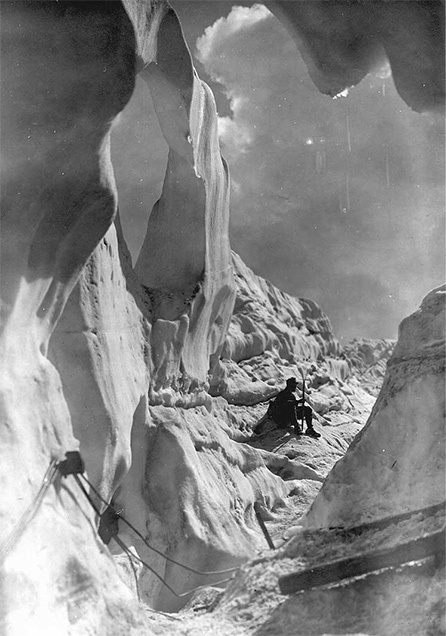 But the glacier was the only way to reach the top, walking on its surface with the danger of italian fire, avalanches and snow storms. That was why during the summer 1916, Ten. 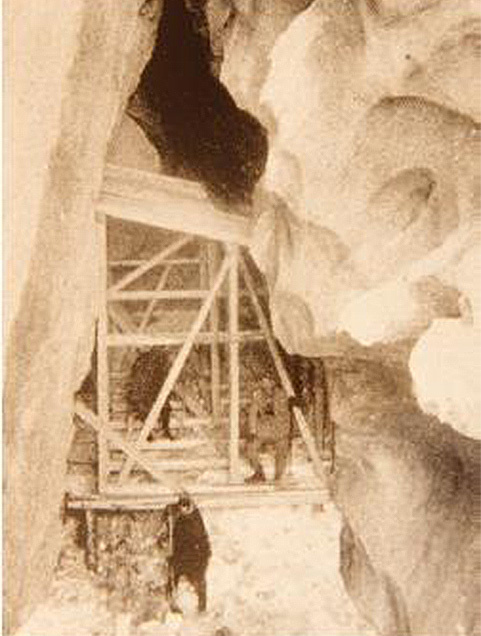 Leo Handl got the idea to dig a tunnel in the deepness of the glacier, to reach the top, hidden from the Italian. After that they found out what living into the ice was: no avalanches, only above, on the surface, no snow storms, 0°C of temperature: really better than outside. 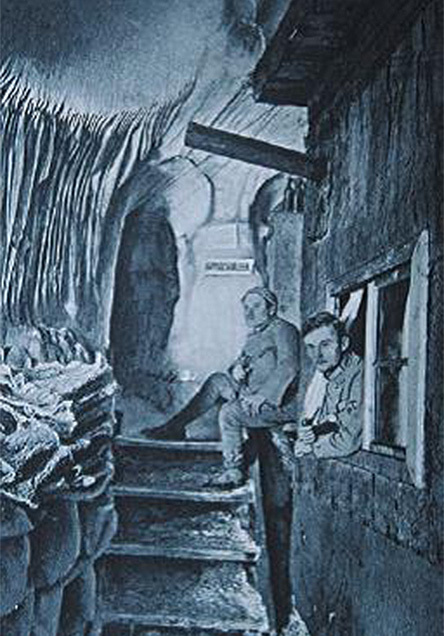 So the original tunnel transmuted in a very extended web of tunnels, that connected all the Austrian positions in around. Under there, there was kitchens, baracks, sanatorium, deposits, everyrthing they needed to survive. At the end, after 10 months of hard work, more than 200 soldiers could live under there. Nowadays only few materials can tell us the story of the Ice City. 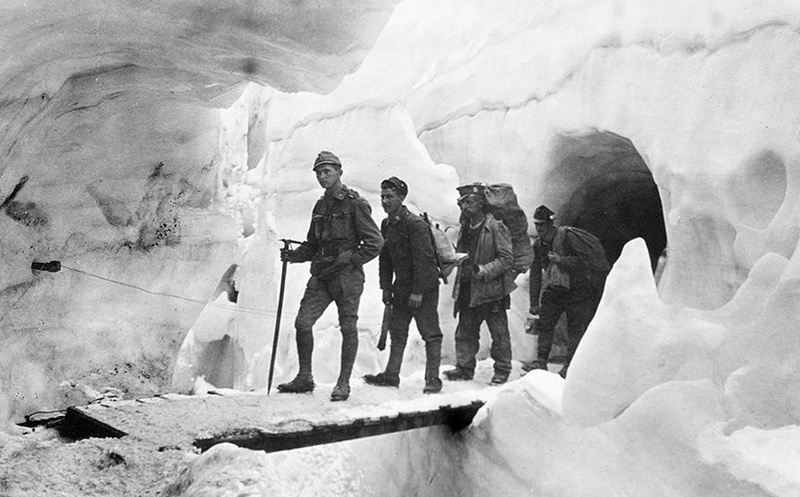 When the soldiers had to abandon the Dolomiti’s front, the ice tunnel kept on collapsing, moving and smelting, without anyone to take care of them. Some of the rests of that time have been found and brought to the museum after the smelting of the glacier (overall over recent years); some other are still buried deep somewhere. 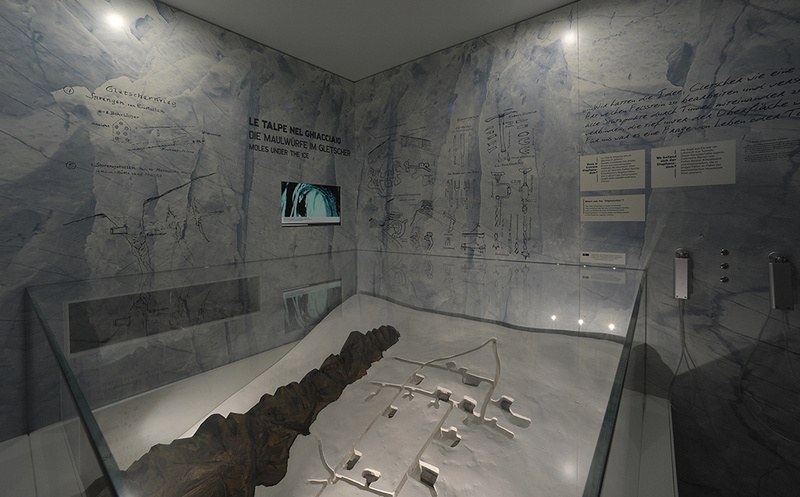 The whole Marmolada’s area is nowadays deeply marked by the events of that war.